I'm Jess, your national Trans Students' Officer for 2017-18 and the first person to hold the post. I first got involved in activism at Bradford, where I joined the LGBT+ society and got involved in environmental activism. For a few years I was a general trouble maker in a range of campaigns including anti-deportation, drug decriminalisation and prison abolition. I set up in 2014 and the Trans Equality Legal Initiative in 2016 and have been doing trans activism ever since. The Trans campaign is in its very first year and I've been busy planning our work to help ensure we have a huge impact. 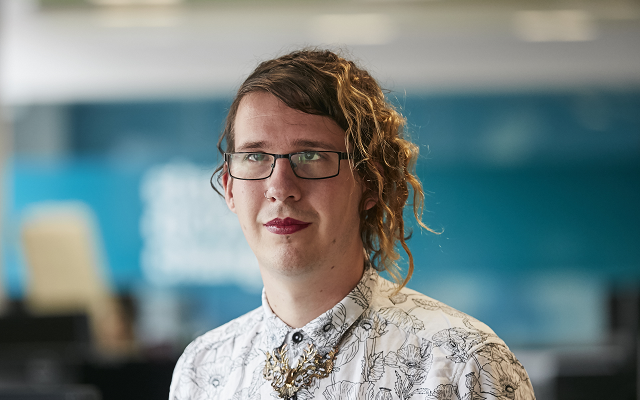 I will be prioritising work around trans people's access to healthcare, advocating with and for trans prisoners and fighting for transformative justice system, and I'll be campaigning on campuses for trans safe accommodation. I’ll also lead research into trans students’ drug use and I am really excited to work with so many of you in the coming months on these campaigns.